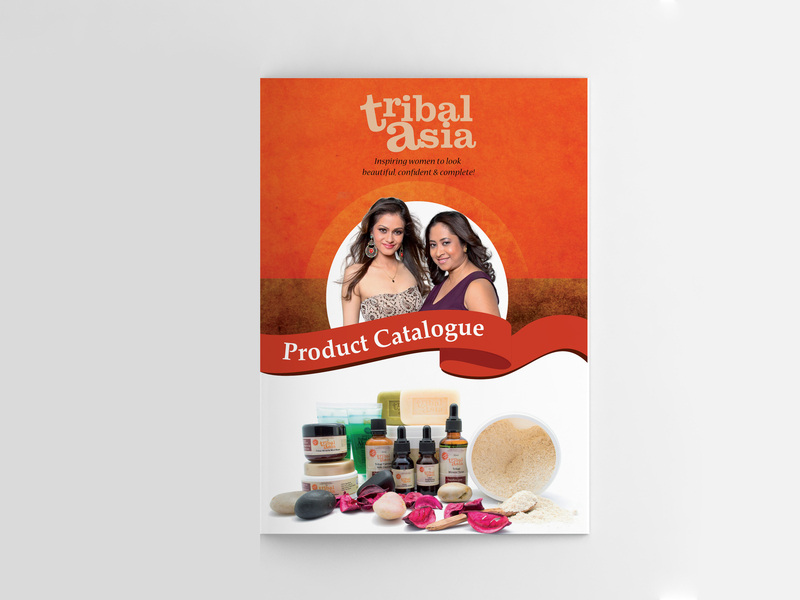 Tribal Asia specializes in skin care product and has various range of beauty products. 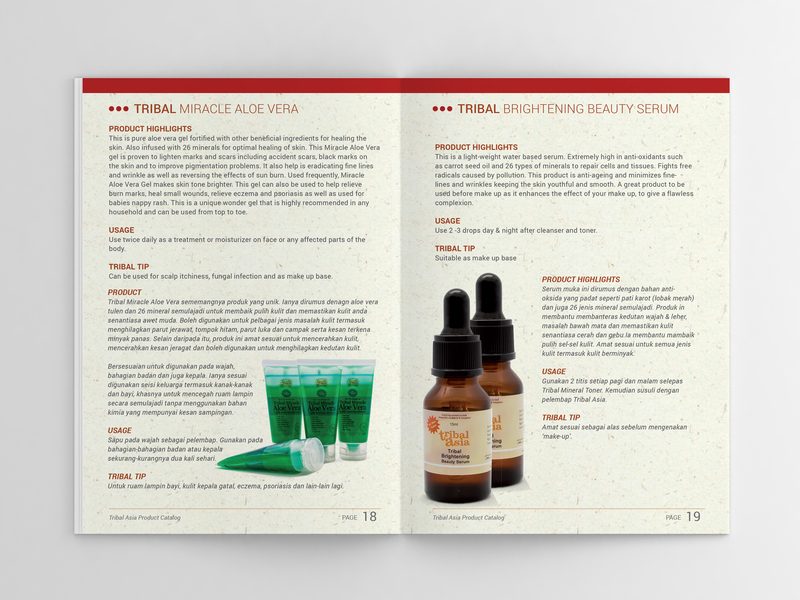 With their new products in the line for launch, they approached me for catalog design. With limited time and resources, I had to do the product photoshoot. We have designed pages with a description in both Malay and English language. The client didn’t want to exceed anything more than 20 pages. After few round of editing and positioning, we came up to 16 pages with all the required information. I have to use san serif font for easy reading. 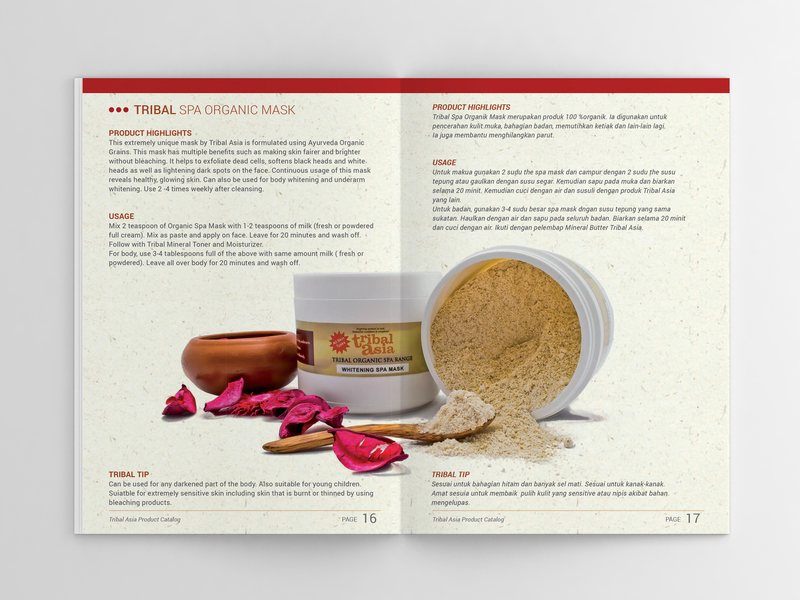 I gave some leafy textured background to reflect the product’s natural ingredients content.